In a small bowl, whisk together buttermilk, yogurt, dill, and 1 teaspoon salt. Pour over rice. Tossing to combine. In a medium bowl, whisk together parsley, vinegar, olive oil, remaining 1 teaspoon salt, and pepper. In a medium bowl, combine cucumber and red onion. Pour half of dressing over cucumber mixture, tossing gently to coat. In a medium bowl, combine tomatoes and sugar pour remaining half of dressing over tomatoes, tossing gently to coat. 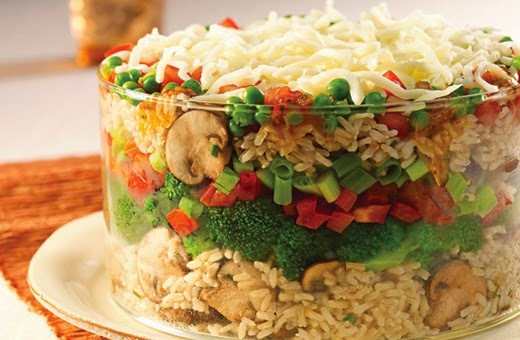 In 8 (8 ounce) jars, layer rice cucumber mixture, and tomato mixture as desired place lids on jars, and refrigerate until ready to serve.